“Smoking kills”. “Consumption of tobacco is injurious to health” – A statutory warning we see everywhere. But are these warnings making the desired impact? Despite efforts to check this harmful addiction, it continues to end millions of human lives every year. It’s time we made ourselves accountable for every life that is lost. We need to get personally involved in addressing this issue not just for our health and well-being, but also for the sake of our future generations. Gariphema village has taken the lead by declaring itself as the country’s first “tobacco-free village”. Tetso College is also a tobacco free zone, and likewise many other schools and institutions are following suit having realized the imminent health hazards that consumption of tobacco possesses. “Today, more than 95% of all chronic disease is caused by food choices, toxic food ingredients, nutritional deficiencies and lack of physical exercise.” Tobacco use is one of the major preventable causes of death in the world with the World Health Organization attributing over four million deaths a year to tobacco. Smoking and smokeless tobacco (chewing tobacco) involve two major issues: the great harm to health and the problem of addiction. Researchers have identified more than 4,000 chemicals in tobacco smoke; of these, at least 43 cause cancers in humans and animals. Tobacco use is a global plague or epidemic among young people. Experts are predicting 1.5 million smoking deaths in India by 2020. 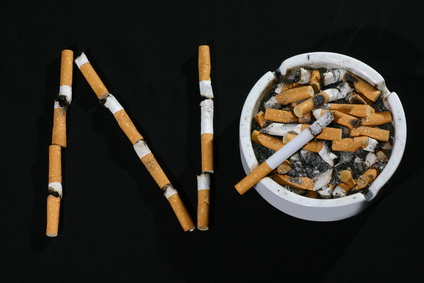 · Current tobacco use in any form: 34% of adults; 47.9% males and 20.3% females. · Average age at initiation of tobacco use: 17.8 with 25.8% of females starting use before the age of 15. · Among minors (age 15-17 years), 9.6% consumed tobacco in some form and most of them were able to purchase tobacco products. The state of Nagaland, with 57 per cent of tobacco users, is the second highest consumer of tobacco in the country, second to Mizoram. As per the Nagaland School Oral Health Survey 2014 report, 28.3 percent of school going children are smokeless tobacco users while 14.8 percent are into smoking habits and 41.2 percent children are engaged by parents to buy tobacco. Cigarette accounts for 26.3 percent as the most common form of tobacco consumed in Nagaland followed by other ghutka products. District wise comparison revealed Dimapur as having the highest number of tobacco consumers followed by Kohima. Tobacco use and addiction usually begins in adolescence. A number of factors influence the use of tobacco by children and teenagers. Some of these are the family history of tobacco use by elders, peer influence, experimentation, easy access to such products, personality factors, underlying emotional and psychological problems, accompanied risk-taking behaviors and the aggressive marketing strategies of the tobacco industry. Despite thousands of programs and strategies to reduce the use of tobacco among youths, the use of these deadly products continues to bring devastating consequences in every family. Does the Bible say anything about smoking or use of tobacco? Is there any verse in the Bible which says smoking is bad or is a sin? These are some of the common questions asked by the young Nagas as an excuse to continue in the destructive habit of using tobacco/smoking. True, the Bible does not say anything about smoking because the use of tobacco isn’t that old. It was only in 1492 that Columbus discovered smoking. Surely God made the tobacco plant for other better purposes than to be smoked. Although smoking was unknown during the ages when the Bible was written, the Bible does provide principles that definitely apply to smoking. But the Bible commands us not to allow our bodies to become “mastered” by anything. “Everything is permissible for me—but not everything is beneficial. Everything is permissible for me—but I will not be mastered by anything” (1 Corinthians 6:12). Though smoking is undeniably addictive; we must not allow ourselves to be enslaved by it. It is extremely important to conquer both the chemical and psychological aspects of a smoking addiction. Success will begin when our desire to please God becomes stronger than the craving to smoke. Later in the same passage we are told, “Do you not know that your body is a temple of the Holy Spirit, who is in you, whom you have received from God? You are not your own; you were bought at a price. Therefore honor God with your body” (1 Corinthians 6:19-20). Can it be said that smoking is truly honoring God with your body? (1 Corinthians 6:20) Can a person honestly smoke “for the glory of God” (1 Corinthians 10:31)? Can smoking be considered “beneficial”? (1 Corinthians 6:12) Obviously No! Smoking has been proven to be such a health hazard that each packet of cigarettes must, by law, bear the message, “Warning! Smoking is injurious to health.” Obviously something hazardous to the health cannot possibly enhance or build up the body (God’s holy Temple) or glorify God. Romans 14:21; 15:1-2, teach us not to offend our fellow Christians but while smoking harms oneself, passive smoking or second hand smoke have proved to be equally harmful. A report by WHO warns: “There is no safe level of exposure to secondhand smoke.” While it is true that a smoker has every right to smoke, he definitely doesn’t have the right to harm others with it. Every person does have the right to breathe clean air and that’s the way God intended it to be. Genuine love moves us to follow the Bible’s admonition: “Let each one keep seeking, not his own advantage, but that of the other person.”—1 Corinthians 10:24. The Bible says we are to love our neighbors as we love ourselves (Matthew 19:19), and it also teaches that “Love does no harm to a neighbor…” (Romans 13:10). It is certainly not an act of love to smoke around other people exposing them to the deadly effects of cigarette smoke. Even studies conducted among babies and children of varying ages whose parents or caretakers smoked show that they exhibit higher rates of lung diseases and other respiratory problems than those with nonsmoking parents. It is also well established that tobacco use by parents or elder siblings increases the likelihood that a child begins smoking. It is certainly not how one would demonstrate one’s love for a child or sibling. Considering the enormous health hazard accompanying tobacco addiction, it is very important to develop preventive strategies to reduce tobacco consumption. As a Christian Society we cannot stand as mute spectators while our younger generation makes choices that are destructive; instead educational institutions must start a tobacco free zone by creating an environment that encourages anti-tobacco beliefs and behaviors and adopt some of the anti-tobacco policies and programs recommended by the U.S. Center for Disease Control and Prevention (CDC). Families can also establish homes as smoke-free places, remind older children that they are role models for younger family members and provide anti-smoking education and refusal skills education at home. Proverbs 22:3, 6 says, “A prudent man foresees evil and hides himself, but the simple keep going and pay the penalty…Train up a child in the way he should go, and when he is old he will not depart from it.” God urges parents to learn His ways and then “teach them diligently to your children”—every day and at every good opportunity.